“Working in Bristol Zoo during the summer of 2015 was an inspirational god send. I had just moved back to the city and had discovered a hidden talent for painting. I would spend my lunch breaks sketching all sorts of animals to take home to paint, from the strange, to the exotic, to my favourites – the lion brothers. “Bristol Zoo Gardens is famous for their Asiatic Lions, so I thought it was only fitting to paint the two brothers and present them as a colourful canvas duo. I asked him about how he came to use 212 Productions and why he uses Neil for his printing. “Neil was recommended to me by Room 212 when I submitted a few art prints into the shop. He had a small studio at the time but I was instantly impressed with his knowledge of printing, his choices of paper quality and his genuine love for supporting artists and local businesses. “He has now expanded into 212 Productions and has moved into a larger studio full of impressive art covering the walls from clients and two big printers capable of printer larger and higher quality art prints. My artwork has a thick acrylic impasto style and I like my prints to resemble the original artwork as closely as possible. Neil recommended using a 285g fine art paper which is slightly texture and allows the print to have a subtle grain effect – enhancing the image to look like the original canvas. I now use that paper for all my prints. 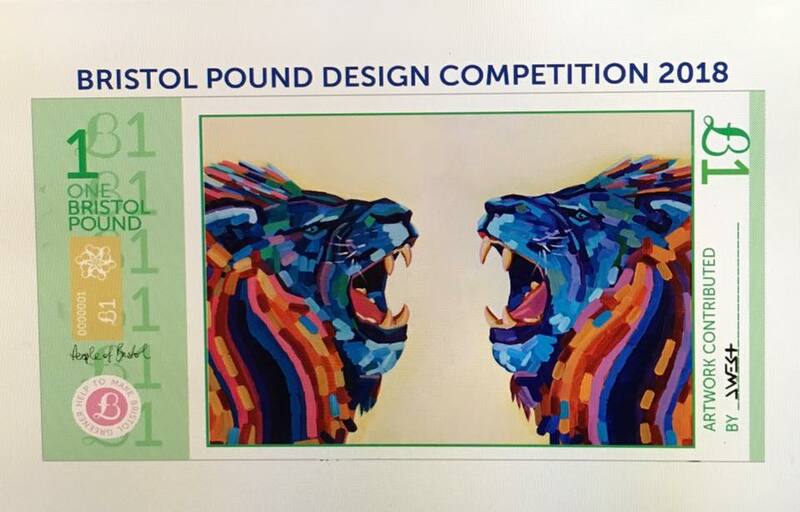 Thanks for your kind words and we wish you all the very very best on the Bristol Pound project.